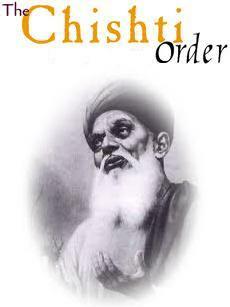 The Chishtī Order is a Sufi order within the mystic branches of Islam which was founded in Chisht, a small town near Herat, Afghanistan about 930 CE. The Chishti Order is known for its emphasis on love, tolerance, and openness. The order was founded by Abu Ishaq Shami (“the Syrian”) who introduced the ideas of Sufism to the town of Chisht, some 95 miles east of Herat in present-day western Afghanistan. Before returning to Syria, where he is now buried next to Ibn Arabi at Jabal Qasiyun Shami initiated, trained and deputized the son of the local emir, Abu Ahmad Abdal. Under the leadership of Abu Ahmad’s descendants, the Chishtiya as they are also known flourished as a regional mystical order. The most famous of the Chishti saints is Moinuddin Chishti (popularly known as Gharib Nawaz meaning “Benefactor of the Poor”) who settled in Ajmer, India. 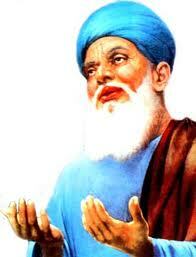 He oversaw the growth of the order in the 13th century as Islamic religious laws were canonized. He reportedly saw the Islamic prophet Muhammad in a dream and then set off on a journey of discovery. Chishti master Inayat Khan (1882–1927) was the first to bring the Sufi path to the West, arriving in America in 1910 and later settling near Paris, France. His approach exemplified the tolerance and openness of the Chishti Order, following a custom began by Moinuddin Chishti of initiating and training disciples regardless of religious affiliation and which continued through Nizamuddin Auliya and Shah Kalim Allah Jahanabadi. Chishti master Mido Chishty has taken teachings of the order to develop FUZN. This has proven popular in the Middle East, Australia and California. The Chishti Order is famous for its emphasis on love, tolerance, and openness. The order traces its spiritual origin through various saints all the way to the Islamic caliph Ali and from him to the Islamic prophet Muhammad. 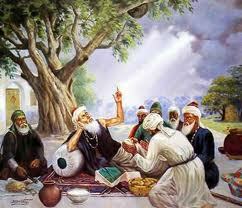 The Chishti saints had two hallmarks which differentiate them from other Sufi saints. The first was their ethical relations to the institutional powers. This meant voluntarily keeping a distance from the ruler or the government mechanism. It didn’t matter if the ruler was a patron or a disciple: he was always kept at bay since it was felt that mixing with the ruler will corrupt the soul by indulging it in worldly matters. The second distinctive dimension was related to the religious practice of the Chishtis. It was proactive rather than passive; a ceaseless searches for the divine other. In this respect the Chishtis followed a particular ritual more zealously then any other brotherhood. This was the practice of Sama, evoking the divine presence through song or listening to music. The genius of the Chishti saints was that they accommodated the practice of sema with the full range of Muslim obligations. The Chishti Order is now indigenous to Afghanistan and South Asia (mainly India, Pakistan and Bangladesh). 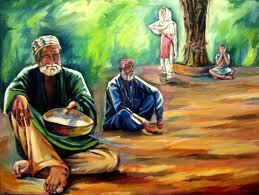 It was the first of the four main Sufi Orders (Chishtia, Qadiriyya, Suhrawardiyya and Naqshbandi) to be established in this region. Moinuddin Chishti introduced the Chishti Order in India, sometime in the middle of the 12th century AD. 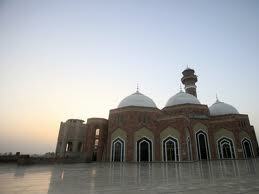 He was eighth in the line of succession from the founder of the Chishti Order, Abu Ishq Shami. The devotees of this order practise chilla i.e. they observe seclusion for forty days during which they refrain from talking beyond what is absolutely necessary, eat little and spend most of their time in prayers and meditation. Another characteristic of the followers of this order is their fondness for devotional music. They hold musical festivals, and enter into ecstasy while listening to singing. Nizamuddin Auliya – This branch became the Chishti Nizami branch. Nizamuddin was the master of Nasiruddin Chiragh Dehlavi who in turn was the master of Khwaja Bande Nawaz. All these are important saints of the order. Alauddin Sabir Kaliyari – This branch became the Chishti-Sabiri branch. Ashraf Jahangir Semnani – He further extended the litanies the Chishtiya Nizami branch. His followers became the members of the Chishti Nizami Ashrafiya branch. Haji Imdadullah Muhaajir Makki – He extended the litanies of the Chishtiya Sabaria branch. His followers became the members of the Chishtiya Sabaria Imdadiya branch. Shah Niyaz Ahmad- He united the Chishti Nizami order with the Qadriya order to form the Chishtiya Qadriya Nizamia Niyazia branch. Habibi Silsila – In century 13th Hegira – Silsila Chishtiya Nizamia Habibia emerged at Hyderabad, India – Khaja Habib Ali Shah. As a result of this metamorphosis of the Chishti order with other branches, most Sufi masters now initiate their disciples in all the four major orders of South Asia: Chishti, Suhrawadi, Qadri and Naqshbandi. They do however; prescribe prayers and litanies, only of the order with which they are primarily associated.